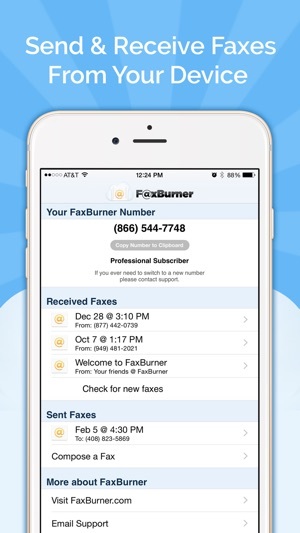 Fax Burner turns your iPhone/iPad/iPod into a fax machine. The only app available where you can get started completely FREE. Every time you need to receive a fax just push one button and we'll give you a toll-free fax number that you can use for up to 24 hours. Once you receive a fax, we notify you, store the fax on your phone, and forward a copy to your email inbox. Note: We only offer US (United States) phone numbers. 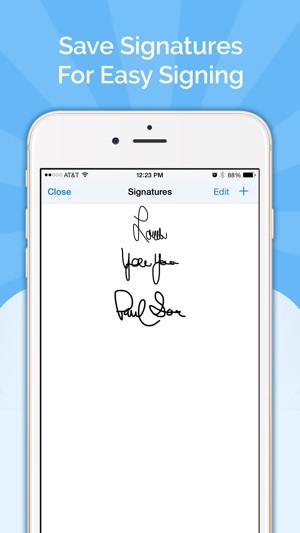 You can easily sign documents, complete forms, and fax them back out without ever printing. Complete integration with Dropbox and your inbox for inbound and outbound faxing. Need to send a quick fax? Type a quick cover sheet note and then use the camera or photo library to attach images of the documents you need to send. The free version of the application may not be available forever, so download your copy today! There are no hidden fees for this application but you are limited to receiving 25 fax pages per month and sending 5 total pages with the free version. - Completely easy to use. Can be setup and running in 2 minutes. 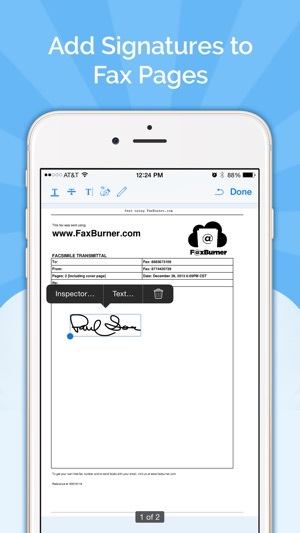 - Each fax received is stored as a PDF that you can email wherever you want. - Sign and complete forms electronically. 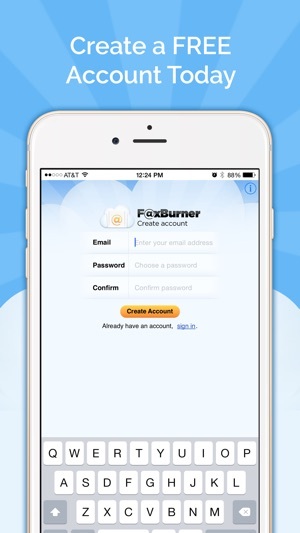 - Integration with your inbox and dropbox. - Saves paper and the environment. - Best user experience of any app. 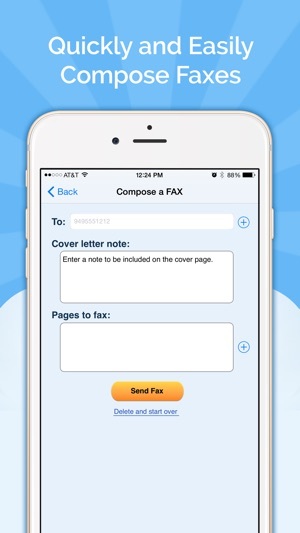 - Special fax alert tone notifies you instantly of your new fax. - Backed by an 10 year old company that keeps your faxes safe and secure. Bug fixes and support for new bigger screen sizes. So about two weeks ago I was told I needed to fax documents to my life insurance company and i was clueless on 1.) how to do that and 2.) where to do that. After some online research about where to go to fax things and companies that can fax from pictures i found a website that suggested this app. This out of all options was free as i only needed to send 3 docs. Not only was doing this completely painless, it was free and super easy. They even send a fax confirmation to your email. Everything i had been putting off for weeks, done in 5 mins.